Foreign ministry spokesperson said there was "no adverse police report" against Tanvi Seth, who had complained that she was refused a passport because of her interfaith marriage. 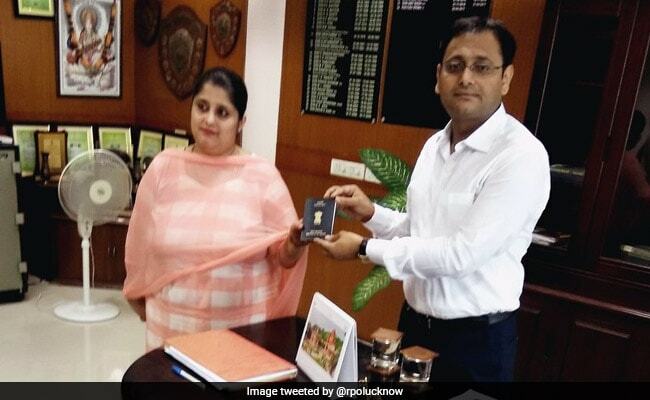 A passport was issued to Uttar Pradesh woman Tanvi Seth following all the rules and procedures including a close scrutiny of the documents furnished by her, the External Affairs Ministry (MEA) said on Thursday. "All the rules and procedures were followed while issuing the passport to Tanvi Seth. The documents submitted by her along with her application form on June 20 were closely scrutinised," MEA Spokesperson Raveesh Kumar said here. The passport was issued on "Post-PV" basis, that is, the police verification was done after issuing of the passport, he said. He said there was "no adverse police report" against Ms Seth, who complained that she was refused a passport because of her interfaith marriage, leading External Affairs Minister Sushma Swaraj to intervene after which Ms Seth was granted the passport. He said as per new rules, the police verification is done only on two broad points. One, if the applicant is a citizen of India, and two, if he or she has a criminal case pending against them. These two broad points have been split into six points in the verification form. "The inquiry officer added two comments from his side in his report. One, that Tanvi Seth's name in her marriage certificate was mentioned as Saadia. And two, she lived in Noida. "But according to rules, her name in the marriage certificate is not relevant here because marriage certificate is not among the required documents for issuing a passport," Mr Kumar explained. "I hope this explanation should put to rest all sorts of misinformation in the media."